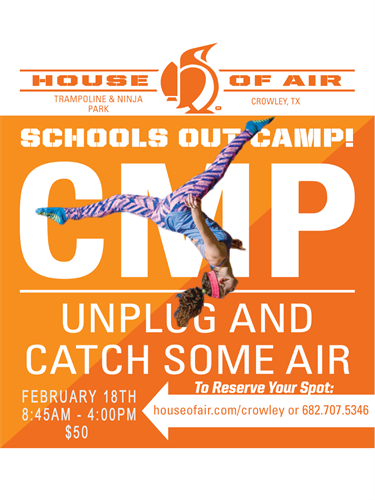 School's out so House of Air is holding an all-day camp to keep your kiddos entertained. Campers will participate in dodge ball and basketball competitions, a scavenger hunt, free jump time, arts and crafts, board games and more. $50.00 registration includes lunch and a free House of Air T-shirt!